Six men have been jailed at Aylesbury Crown Court for offences in connection with a kidnap incident, following a Thames Valley Police investigation. Yaseen Alsaver, aged 25, of no fixed abode. Two other men, Kenny Madgeweick, aged 28, of Barnard Crescent, Aylesbury, was convicted of going equipped to steal, and Robert Duncombe, aged 29, of Holme Place, Hemel Hempstead, was convicted of false imprisonment. 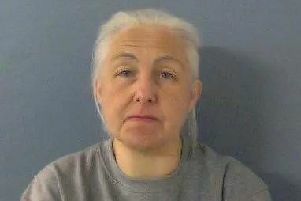 Parsons, Lightfoot, Oxley and Alsaver were convicted on Friday (21/9), while Madgewick and Duncombe were convicted on 13 September, all at Aylesbury Crown Court. All six men pleaded guilty to the charges they faced. The charges relate to an incident in Berkhamsted, Hertfordshire, on 24 March 2018, where a 26-year-old man was kidnapped in order to assist with the kidnapping of another man. He sustained bruising to his face. However police were able to intervene before the second kidnapping took place. All six men were charged on 25 March. Police then discovered a van with weapons inside which were believed to have been used during the kidnap. Parsons was jailed for four years and two months, Lightfoot was jailed for four years and four months. Oxley and Alsaver were both jailed for four years, Madgewick was jailed for six months and Duncombe was sentenced to one year’s imprisonment. Investigating Officer, Detective Chief Inspector Joe Banfield, of Aylesbury police station, said: “I would like to thank everybody connected with the investigation for their commitment and dedication. “This investigation shows the lengths to which the police will go to in order to protect those in need and to prosecute those responsible.